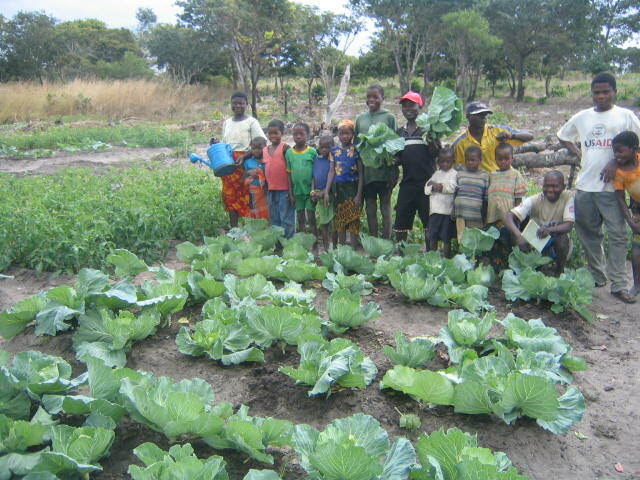 In Mozambique, over 70 percent of the population lives in rural areas, where agriculture is the main source of household food and income. Yet food insecurity remains a major issue for people living in rural areas. More than half of all households live below the poverty line. Moreover, agriculture production at the household level is often not sufficient to maintain food security. These issues are particularly prevalent in Nampula Province, which has some of the highest rates of food insecurity in the country. Nampula Province is located in the northern part of Mozambique. It is the country’s second most populous province. Public infrastructure was severely damaged or destroyed during the civil war and communities lost most of their assets, especially livestock. Nacaroa District, one of 18 districts in Nampula Province, has a population of 106,887 people. It has a dry tropical climate, with highly seasonal and unreliable rainfall. While very little rain falls between May and November/December, the majority of farmers rely on rain-fed agriculture. They have limited capacity to employ small-scale irrigation systems or to engage in off-season production. Consequently, there is frequently partial or total failure of food crops and little to no diversity of food and cash crops. Due to limited availability and consumption of nutritious food, 51 percent of children under five in Nampula suffer from malnutrition – some of the highest rates of malnutrition in the country. Moreover, because men tend to control household financial resources, often only a small percentage of household income is used to benefit the entire household, including providing sufficient food, health and education for children. improving the participation of women in the leadership of farmer groups. The project directly targets 10,000 people within the Inteta and Mucotho Area Development Programmes, which are located in Nacaroa District. Project beneficiaries will be poor households, including disabled people. The Area Development Programmes have identified households vulnerable to food insecurity during consultations with community members, including local authorities. In addition, the project will prioritise women to ensure the meaningful participation and leadership of women in activities.